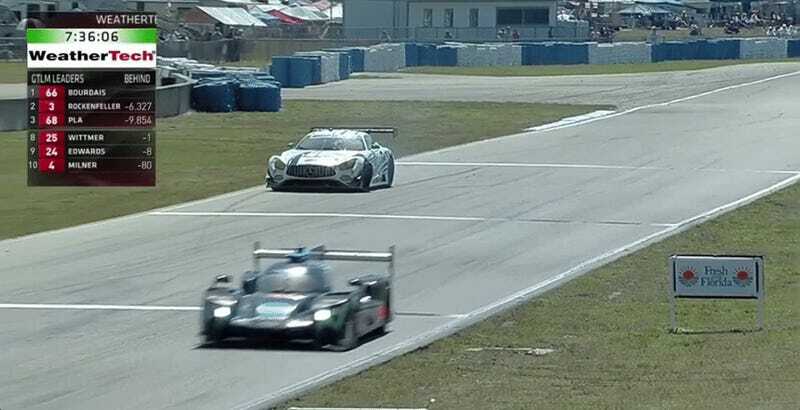 You know something’s really, seriously wrong when your car keeps trying to dart into race traffic on its own. The front left A-arm came loose from the hub on the No. 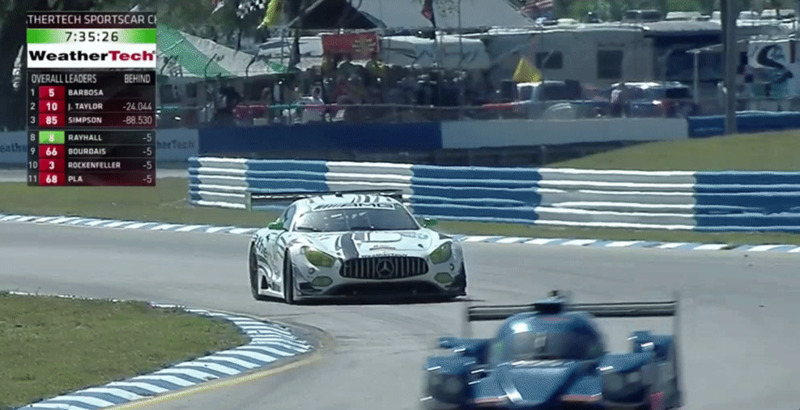 50 Riley Motorsports/WeatherTech Racing Mercedes-AMG GT3, leaving driver Cooper MacNeil with a terrifying drive back into the pits. 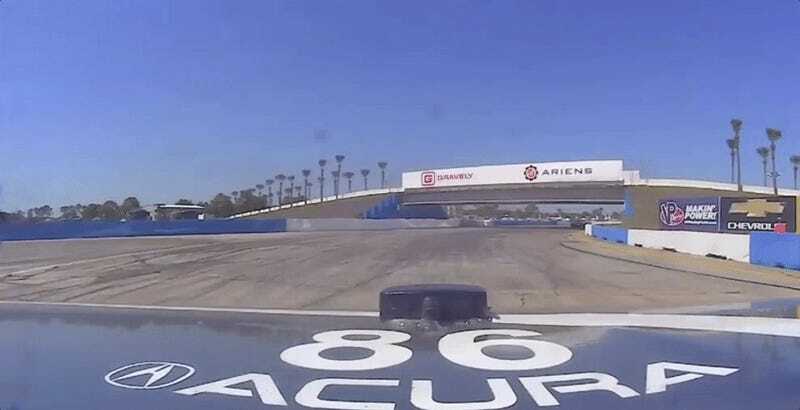 Obviously, Cooper wasn’t drunk behind the wheel—that surprise-turn action was all from his car’s borked suspension, which clearly had a mind of its own given the type of damage to its steering components. 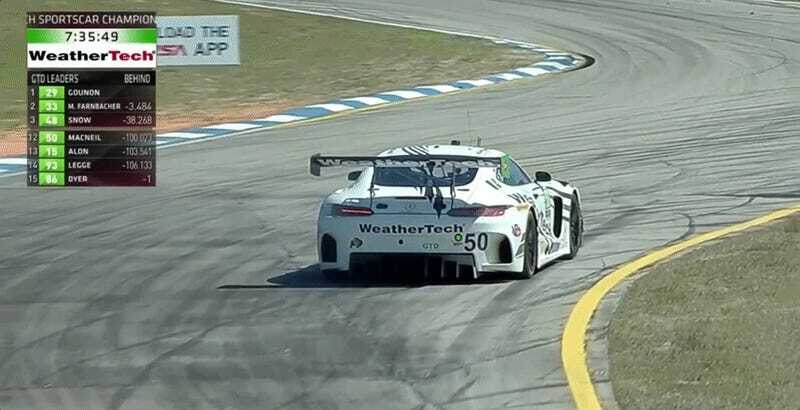 Cooper, the son of the series sponsor WeatherTech’s owner David MacNeil, said he had to drive it back slowly in first gear. “That’s how Memo Gidley got his back broken, so it’s pretty fucked—er, messed up there,” said MacNeil of his slow drive with a damaged car back on live television in very understandable circumstances for an F-bomb slip. I think I would have given up and let the nice flatbed crew take the car back at this point. 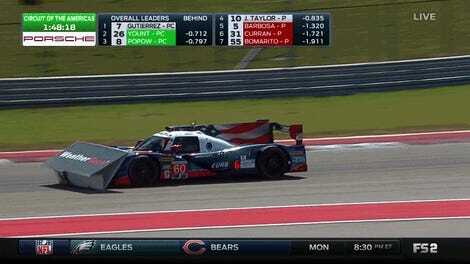 This is, of course, the WeatherTech car running in a WeatherTech Sports Car Championship race. 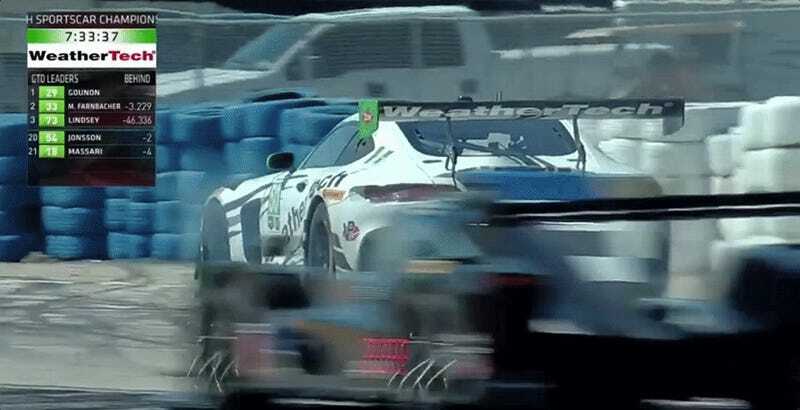 Between this and the cars taking out the trackside WeatherTech ads, I’m surprised no one’s come up with a conspiracy theory that the floor mat giant sabotages things in order to get more air time during races. While MacNeil was limping his car back in, which he luckily did without incident, the No. 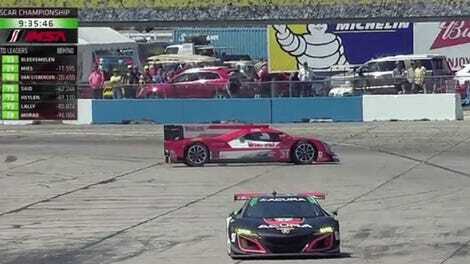 88 Acura NSX GT3 spun out on track, but was able to continue. Sebring! The chaos never stops. UPDATE: Sadly, the No. 50 Mercedes has retired.